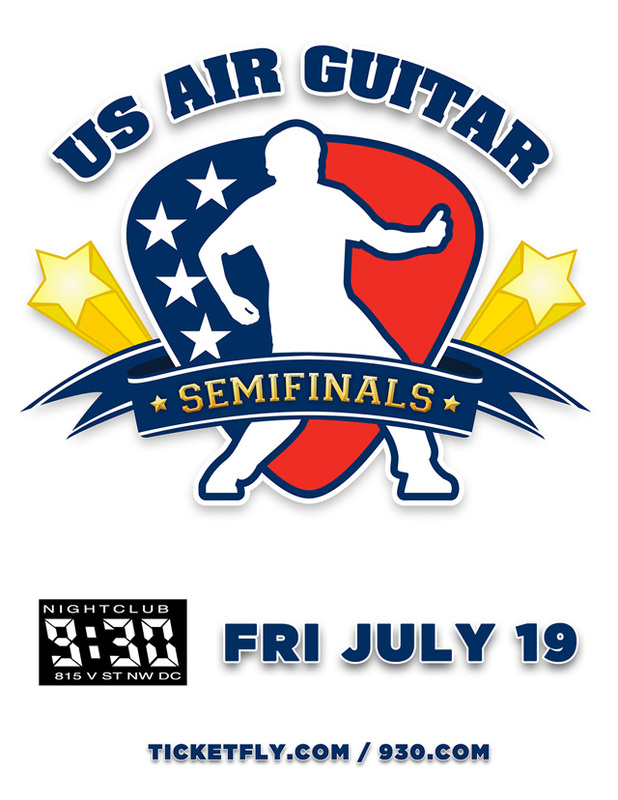 Today, we are giving away a pair of tickets to see the US Air Guitar Semifinals at the 9:30 Club on Friday, July 19. This event has become a big thing! In the US Air Guitar competition, contestants take to the stage to mime their way through a performance instead of actually playing a guitar. Let’s call it grinding the invisible ax! (I guess I always was more of an air synth guy as a kid.) Now you can go and enjoy the spectacle as the contest reaches the semifinal stage this Friday. For your chance to win these tickets simply leave a comment on this post using a valid email address between 9am and 4pm today. Feel free to leave any comment, but I would like to hear your vote for world’s best guitarist! One entry per email address, please. Tickets for this show are also available through Ticketfly. Gotta send someone to root for DC’s champion, The Shred! !